BelRed Dentists in Redmond has been providing high quality prosthodontist services to our patients for years. BelRed Dentists enjoys partnering with our patients on their journey to overall oral health. A prosthodontist is a dentist who specializes in the esthetic restoration and replacement of teeth. Prosthodontists receive two or three years of additional training after dental school, and can restore optimum appearance and function to your smile. Why See a Prosthodontist In Redmond? Simply stated, because when it comes to complex dental work, a prosthodontist has had additional education and training with advanced technology that can be utilized to improve your overall oral health. Prosthodontists also use advanced techniques for treating complex dental oral conditions.  Having access to a prosthodontist locally here in Redmond is priceless for those looking for LOCAL advanced oral care. Prosthodontists provide care with implants, crowns, bridges, overlays (and inlays), as well as full mouth restoration. We love working and living in Redmond. Redmond's trusted prosthodontist, BelRed Dentists, uses current dental technology and advancement in implant dentistry to ensure no patients suffer the burden of tooth loss. Patients who work in Redmond and Bellevue love the fact that BelRed Dentists is here to be a long term partner in their patients' overall oral health. Our prosthodontist prides himself in the self-esteem of our patients as he works with a team of other specialists, including the patient, to re-create what was lost due to disease, dental decay, and trauma. BelRed Dentists' soft touch incorporates these virtues into our practice of dentistry.